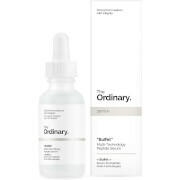 Combat dull, dry skin with Pestle & Mortar's Pure Hyaluronic Serum; a lightweight, ultra-hydrating formula with a convenient dropper applicator for mess-free use. Infused with a cocktail of beneficial ingredients, including Hyaluronic Acid and antioxidant Vitamin E, the quick-absorbing serum delivers intense moisture and hydration, whilst plumping and firming skin to reveal a smoother, younger-looking appearance. 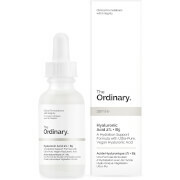 Can be used as a make-up primer to soften fine lines and restore a radiant glow. Free from parabens, silicones, sulphates, mineral oil and synthetic fragrance. Simply smooth 2-4 drops of serum over cleansed toned face before applying other creams. Use both in the morning and at night for a more youthful, radiant look. Aqua, *Aloe Barbadensis Leaf Juice, *Sodium Hyaluronate, *Cucumis Sativus Fruit Extract, Butylene Glycol, *Tocopheryl Acetate, *Glycerin, *Xanthan Gum, Phenoxyethanol, *Caprylyl Glycol. *Plant Derived.